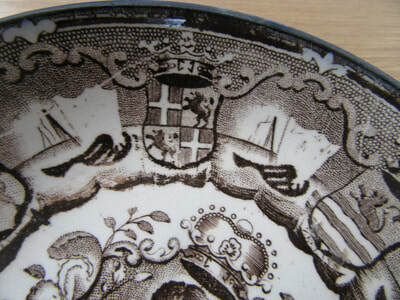 Jan van Speyk on Scott Pottery Sunderland. 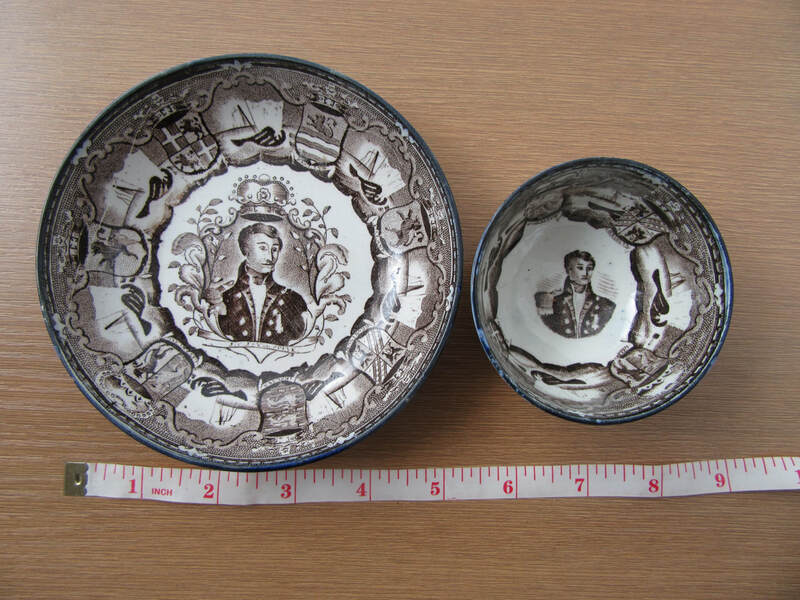 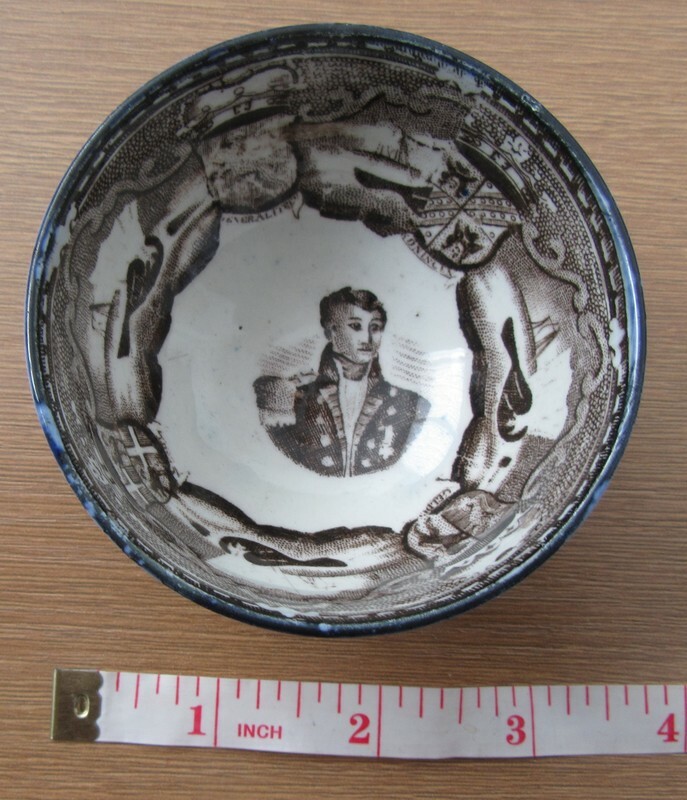 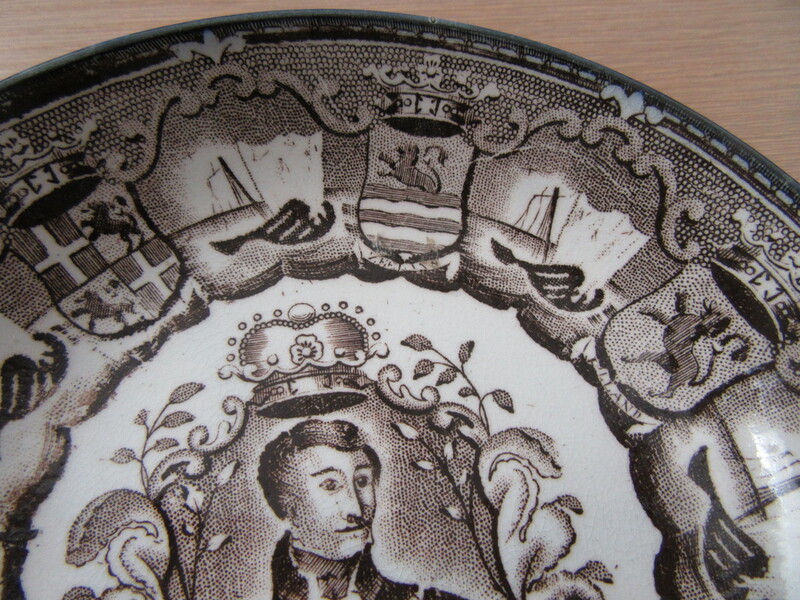 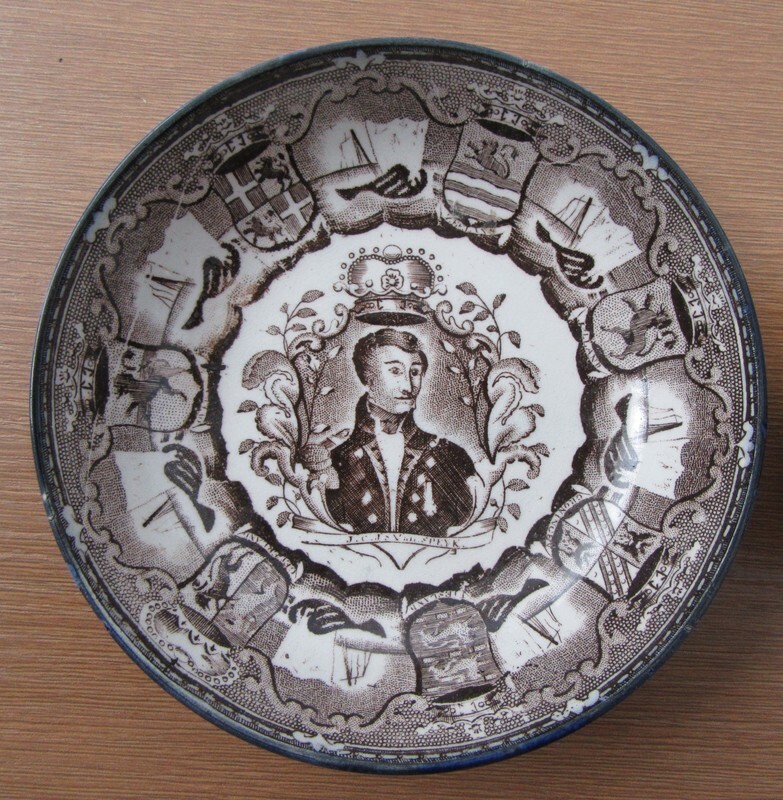 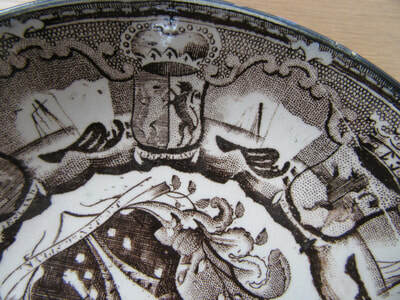 In 1831 Jan van Speyk's death was recorded on commemorative pottery after he blew up his ship during the Belgian Revolution. 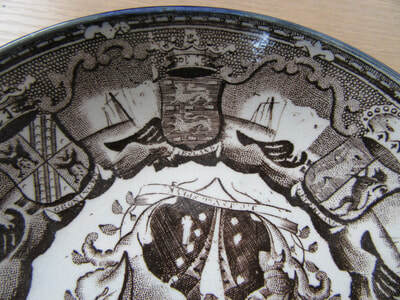 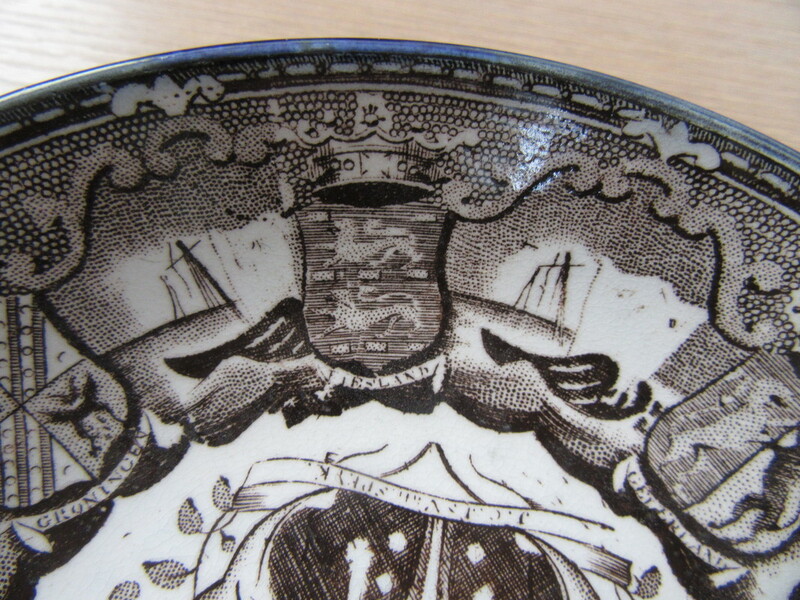 Several English potteries produced plates and cups and saucers including those on Teesside and Wearside. 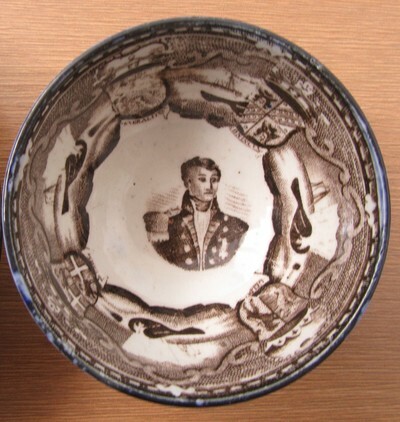 The saucer shown is impressed "SCOTT" but there is no mark on the cup. The portrait titled "J.C.J. 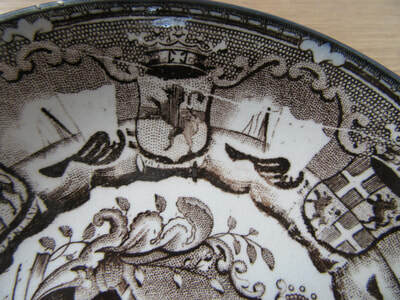 Van SPEYK" is surrounded by crests of Holland, Zeeland, Groningen, Freisland, Gelderland, Overijssel, Utrecht, and Generaliteit interspersed with a repeated scene of the explosion. 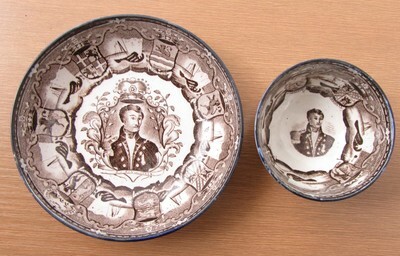 The transfer is dark brown with a blue rim. 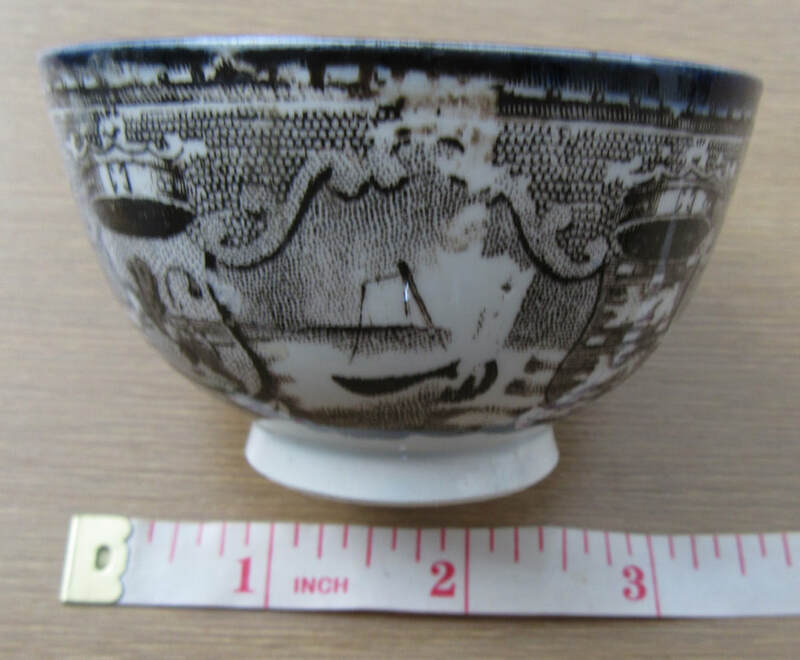 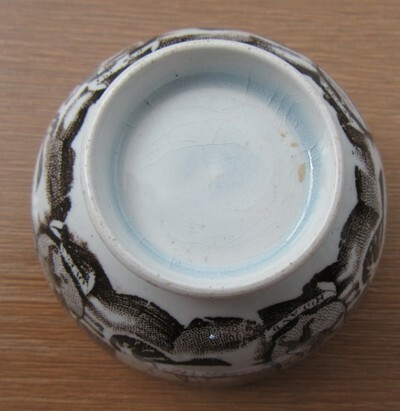 The cup and saucer shown here is similar to one in Rotterdam Museum, however that one is marked "Smith & Co." and seems to be a black transfer.